Welcome to the most comprehensive and only unbiased information resource on the Indian automotive scene. Team-BHP is where car owners & enthusiasts come together to form a collective force; a community of, by and for Indian petrol-heads. We are a completely independent website and do NOT accept any car advertisements. Our content is therefore indisputably unbiased and authentic. Here, you will find impeccably honest reviews, news, opinions and analysis. Team-BHP is also the first Indian automotive community to have cemented its position on the Global Big Boards Registry. Team-BHP began as an inchoate dream of a handful of motorheads who live by their passion for cars. Today, it is the largest Indian automotive forum with a knowledge base of 30 lakh content-rich posts, tens of thousands of members and over 15 million annual visitors. We provide dependable information on the full gamut of topics; be it about new launches, industry analysis, tuning and turbo-charging engines, upgraded suspensions, in-car-entertainment systems, dealership & finance company reviews, road trip preparations, off-roading and more. Our distinctive & impartial reviews help lakhs of enthusiasts take prudent automotive decisions, save money on ownership, get the most out of their cars and become better drivers. It is this love for cars that has brought us together as a close-knit community...a community with a spectacular level of camaraderie. 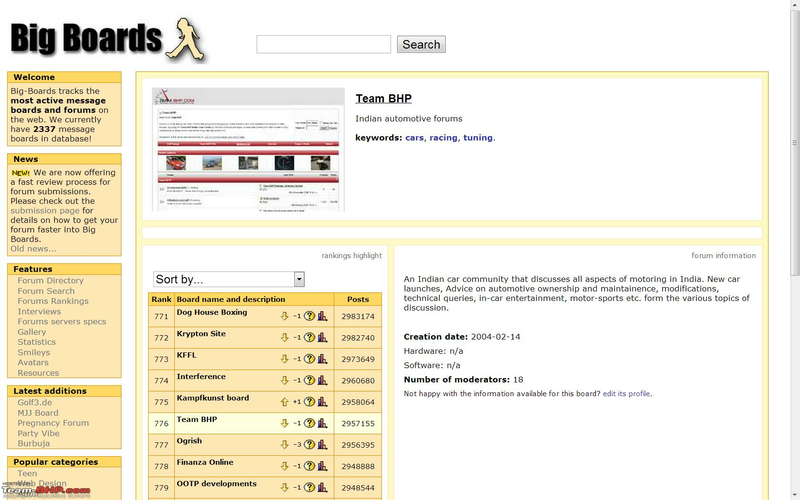 A panel consisting of venerated & extremely diligent Moderators presides over Team-BHP. They scrupulously moderate content to ensure that our standard of unparalleled quality is maintained. We're proud of who we are and where we've come. We are independent of the auto industry's advertising rupee and intend to keep things that way. Team-BHP is committed to its sole purpose of empowering the Indian car owner & enthusiast. This is the home of Indian petrol-heads.